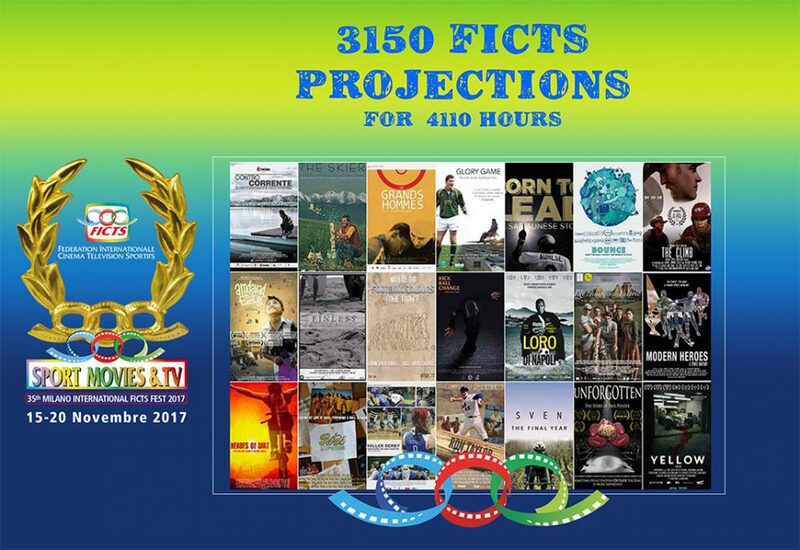 The Projections at "Sport Movies & Tv"
FICTS Archive collects more than 4.110 hours of sports footages. A priceless heritage of sport footages that FICTS spreads and provides to the community and to the Institutions, searchable by: duplication, historical research, Exhibitions, Festival, Awards, events, movies, press conferences, tv, programs, etc. Click HERE to visit the full FICTS archive. VIDEO ARCHIVE: 4110 hours of sport movies. Football, tennis, boxing, cycling, extreme sports, swimming, basketball, etc. are some of the 96 sports disciplines available by the user. The sport education comes in the Primary and Secondary schools of Milano through footages. The initiative aimed to the spread of sports and fair-play culture, of the Olympic values ​​among young people. It consist of the presentation of videos about the importance of sport as a social investment and as a means of education, the training and inclusion of its protagonists, interrupted by a discussion with students and teachers, highlighting the training and educational aspects of sport. The project represents an opportunity to spread the educational and formative values of the Olympic and Paralympic Movement through images involving young people and the entire world population. It includes video, audio and photos Olympic Multimedia Library, videos of the Official Film restored and videos from the archive on FICTS Olympic Values. OLYMPIC GAMES: Official Film of the 2008 Beijing Olympic Games, “Rings of the world”, the Official Film of the 2014 Sochi Olympic Games, “Spirit in Motion”, the Official Film of the 2014 Sochi Paralympic Games, “Days of Truce, Official Film of the Olympic Games Rio 2016, “Joyful rendezvousupon pure ice & snow”, presentation of Beijing’s bid for the 2022 Winter Olympic Games. ASIATIC GAMES: “Together in Guangzhou – the Official film of the 16th Asian Games”, the first film dedicated to the Asiatic Games.